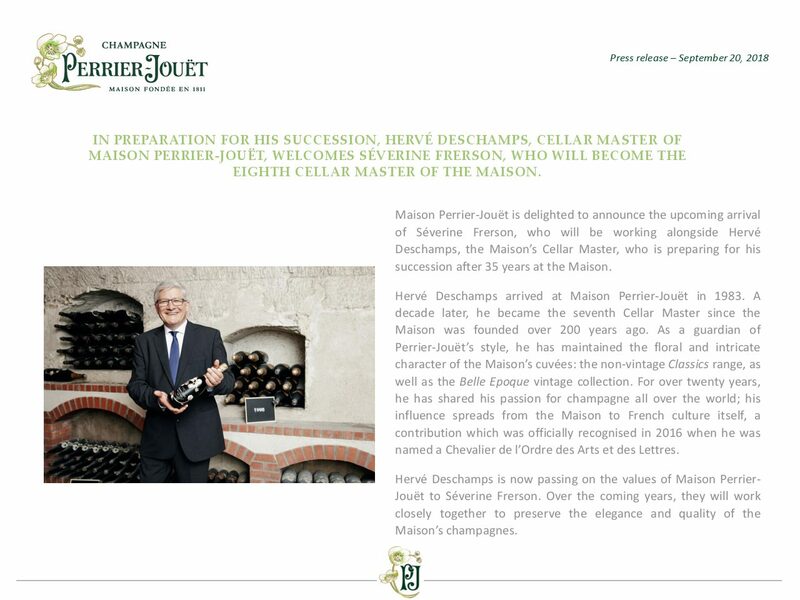 Maison Perrier-Jouët is delighted to announce the upcoming arrival of Séverine Frerson, who will be working alongside Hervé Deschamps, the Maison’s Cellar Master, who is preparing for his succession after 35 years at the Maison. 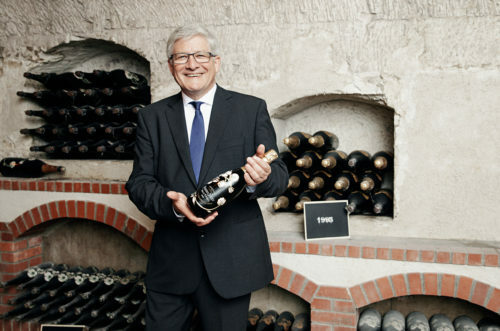 Hervé Deschamps is now passing on the values of Maison Perrier-Jouët to Séverine Frerson. Over the coming years, they will work closely together to preserve the elegance and quality of the Maison’s champagnes. Séverine Frerson is currently the Cellar Master of Piper-Heidsieck, the Maison she has been with for the past sixteen years. 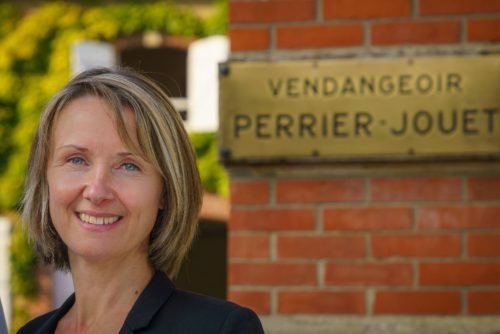 She is one of only a handful of women to hold such a position in Champagne and will now become the first female Cellar Master in the history of Maison Perrier-Jouët. Originally from Reims, Séverine Frerson studied oenology and has always been guided by her passion for wine. Throughout her extensive career, Séverine Frerson has acquired a remarkable technical expertise, complemented by both an exceptional intuition and memory that allow her to know each wine in all of its complexity. “The history of Maison Perrier-Jouët is marked by Rose-Adélaïde Jouët, who founded the Maison with her husband Pierre-Nicolas Perrier in 1811. She was a woman of great character, determination and daring, just like Séverine Frerson, whose love of wine, focus on quality and attachment to the terroir are aligned with the philosophy of our Maison,” commented Christophe Danneaux, Champagne Vice President and Perrier-Jouët Business Director.